Customize your music listening experience with the advanced music player, PlayerPro. 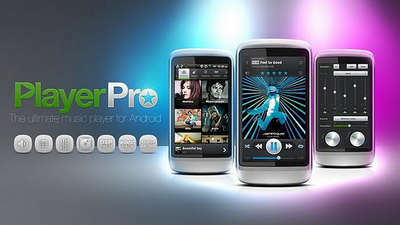 This is the Pro full version for Android 2.x+. This app covers all the basic music playing features, plus dozens unique ones. * FREE additional DSP PLUGIN: 10 band graphic EQUALIZER with 15 default/customizable presets, PRE-AMP control, BASS BOOST control, STEREO WIDENING control, left-right volume control. GAPLESS playback.